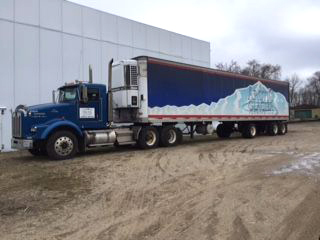 Arctic Glacier (Port Huron, Ypsilanti, Lansing, Traverse City, Grayling, Belding, and Shelby Twp) tackles refrigeration unit maintenance with a comprehensive plan covering all locations across Michigan and all makes of trailer and straight truck (both Thermo King™ and Carrier™) refrigeration units. Refrigeration unit downtime was one of the biggest problems in their business during their busy summer season. High repair costs, especially with the difficulty to predict them, were also a growing problem. The company now spends less time chasing problems, rework, and processing invoices.